It’s been called one of the cardinal rules of residential real estate: Follow the artists. The notion is twofold. First, because artists are (almost) always on the hunt for cheap space, they can often be found pushing into yet-to-be-gentrified neighborhoods. Second, artists are cool, which makes the neighborhoods they live in cool, which inevitably draws somewhat less cool (but often much wealthier) buyers who want to live around them. There’s perhaps no better example of this phenomenon than lofts and loft living. 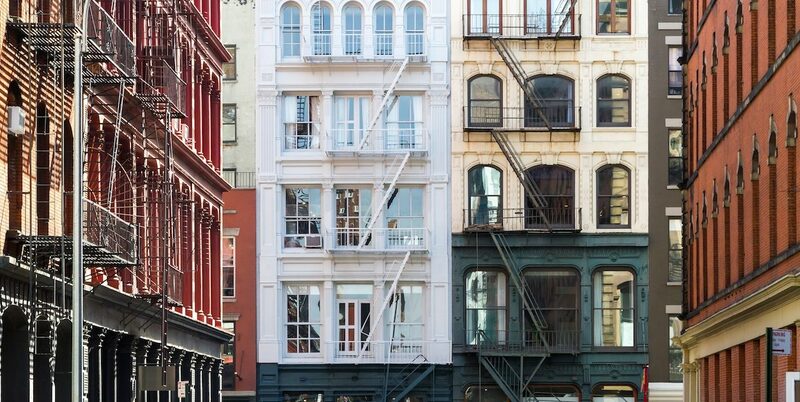 Pioneered by bands and artists in lower Manhattan after World War II, loft living is today perhaps the quintessential urban lifestyle, a fashion now popular around the world in cities big and small. Loft living is today perhaps the quintessential urban lifestyle, a fashion now popular around the world in cities big and small. The trend originated in New York City in the 1950s, says Sharon Zukin, a professor of sociology at Brooklyn College and the CUNY Graduate Center and the author of the book Loft Living, which explores the evolution of these spaces. Because the buildings weren’t zoned for residential use, these artists’ claims to them were somewhat tenuous, and over the coming decades they negotiated a series of regulations that served to legitimize and solidify former industrial districts like SoHo as residential neighborhoods. For instance, in the 1960s, the city’s Artists Tenants Association won for some artists what was called artist-in-residence status, which allowed a certain number of artists to live in former factory buildings without having to obtain a certificate of occupancy. In 1971, the city established a system for certifying artists and made it legal for people with this certification to live in former industrial buildings in SoHo. But while such rulings legitimized lofts as residential spaces, they also helped lay the seeds for the subsequent explosion in loft living among the non-artist set. And this explosion wasn’t limited to the trend’s New York origins, but spread across the country and around the world. As Zukin notes in her book, a 1979 New York Times story highlighted the efforts of Norwalk, Conn., to convert some of its former industrial spaces to residential lofts. “Norwalk Seeks to Be the SoHo of Connecticut,” the headline read. Today, lofts, or, perhaps “lofts,” if you’re a purist, aren’t just confined to formerly industrial urban areas but encompass everything from new construction in city centers to loft-style homes in suburban gated communities. Once highly specific, the term has become something of a catch-all for a wide variety of spacious, open dwellings. Of course, if it’s authenticity you’re after, the original version can still be had—for a price. As a recent CityRealty article on loft living notes, in the 1960s entire SoHo buildings could be had for as little as $30,000. Today, even a modest loft in the neighborhood will likely run you well over $1 million.